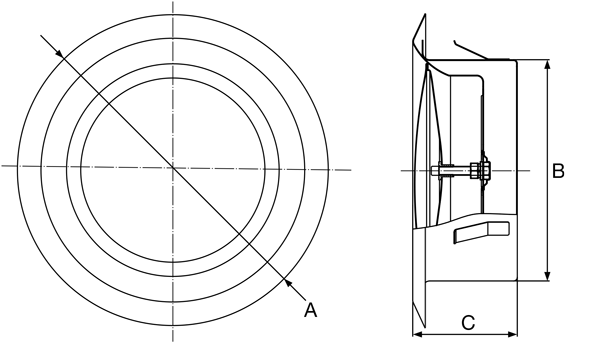 Air flow can be easily adjusted by rotating the control disk. 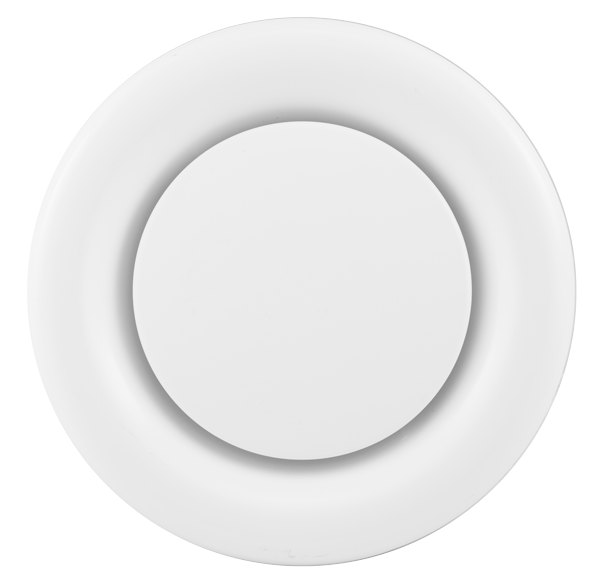 Sleek, stylish design with a non-reflective white surface. 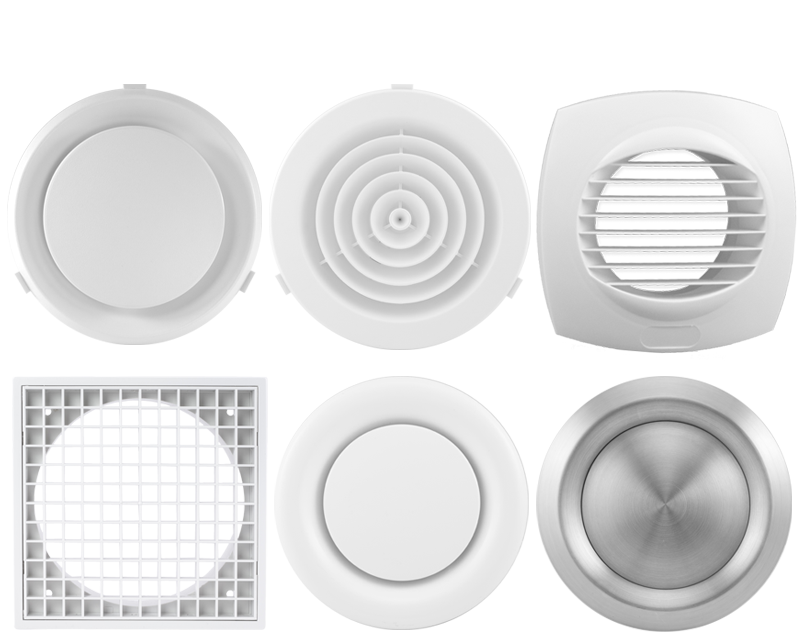 High quality ABS plastic, scratch & chip resistant. 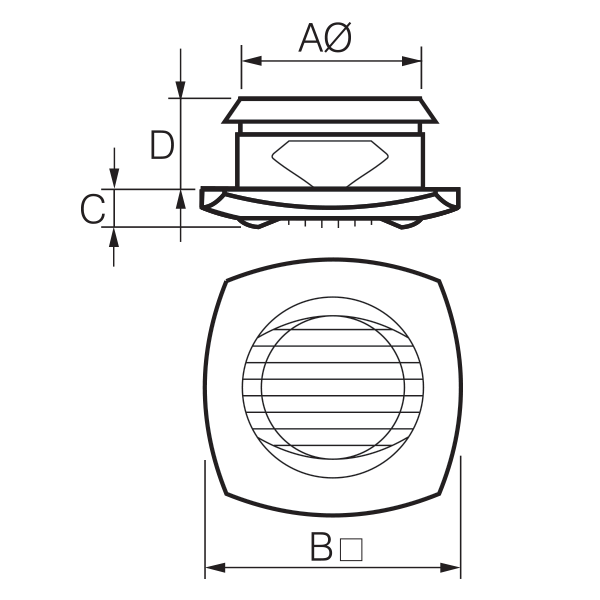 Air flow can be easily adjusted by rotating central button. 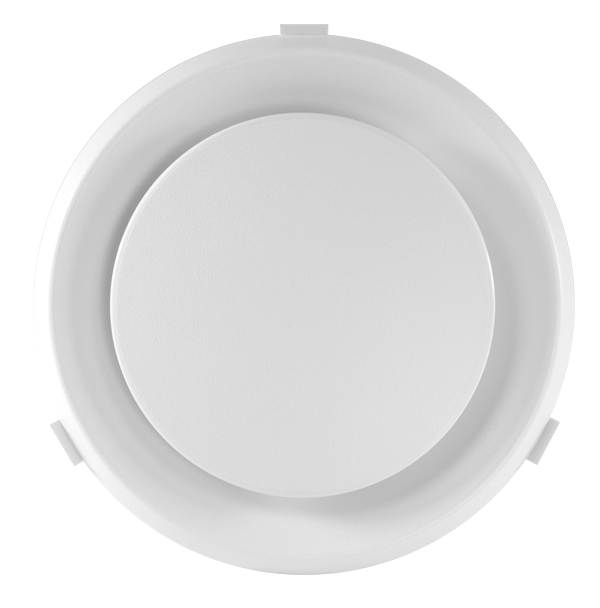 Ceiling mounted inlet/outlet clip-in grille. 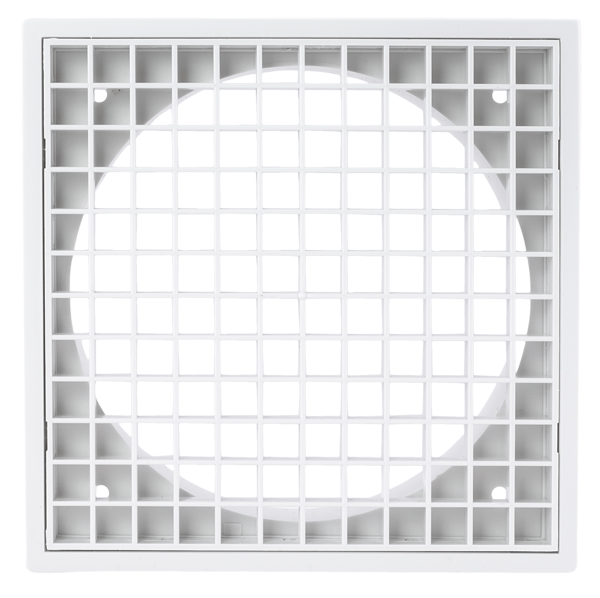 The IDV is constructed from high quality steel with a white finish. 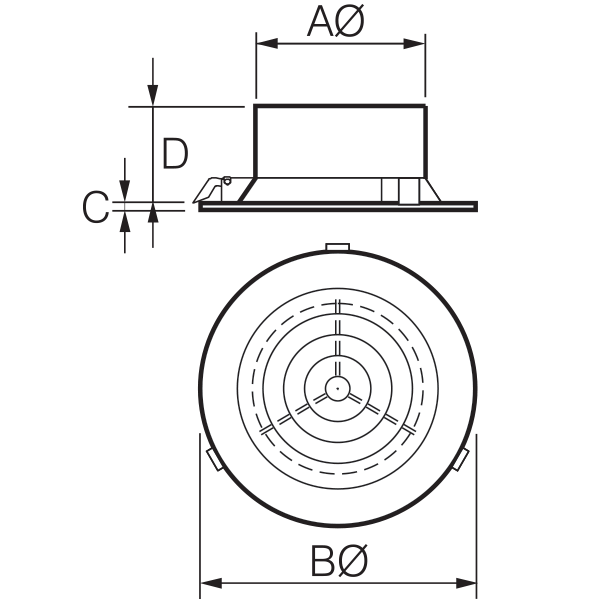 The valve body is equipped with a mounting ring for ease of installation. 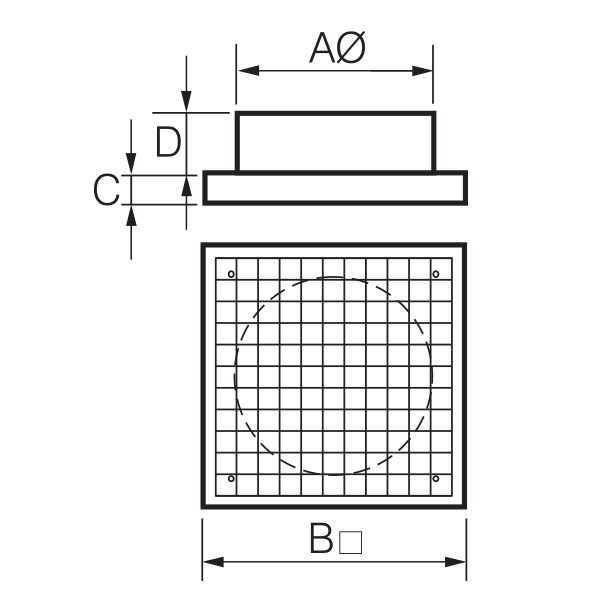 Air flow can be easily adjusted by rotating the control disc. Manufactured from high quality steel with a white finish. 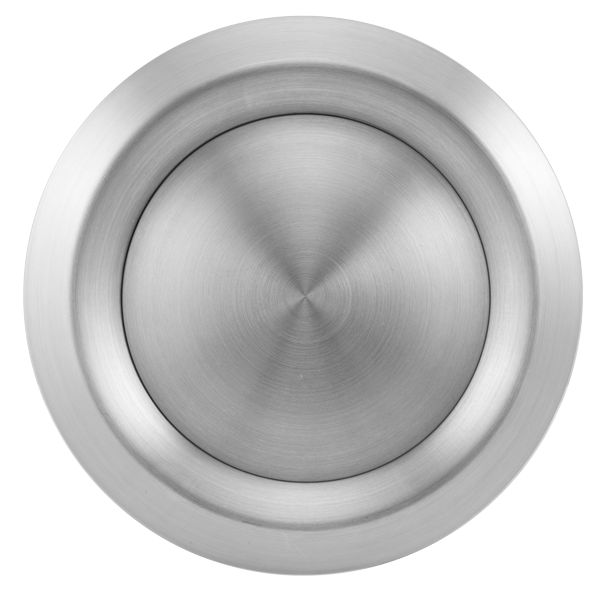 The IDVSS is constructed with high quality 304 stainless steel to minimise the risk of rust. 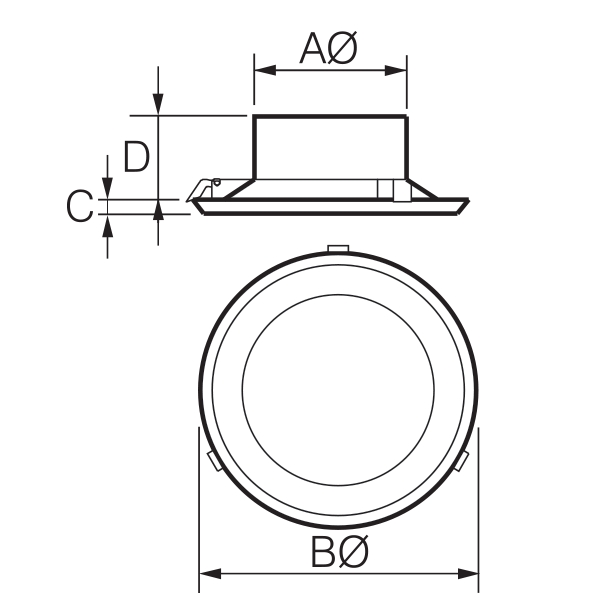 The valve body is equipped with a mounting ring for ease of installation. 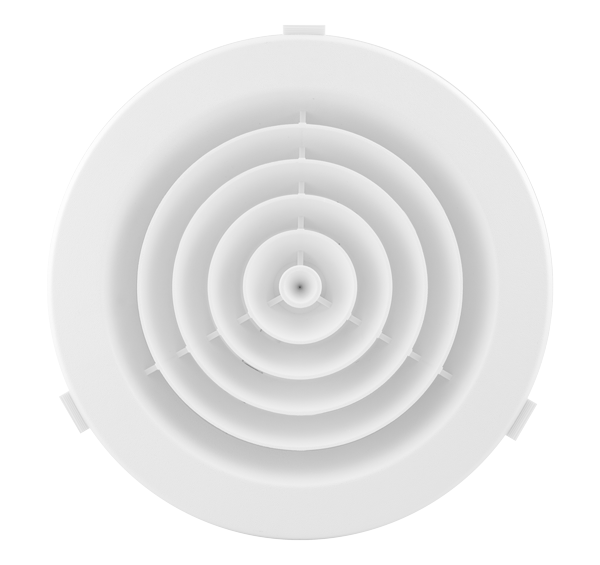 It can be used for both return and supply air with air flow easily adjusted by rotating the control disc. Constructed with 304 quality stainless steel. For both return & supply air. 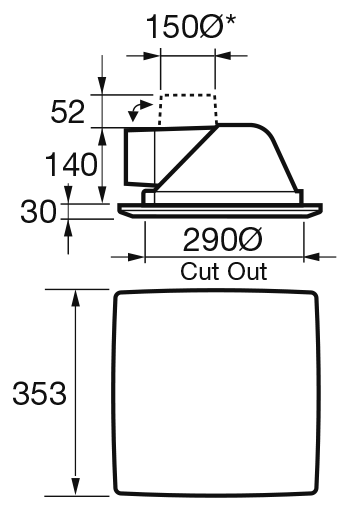 * Oval spigot designed to fit 150mm duct. external grille. 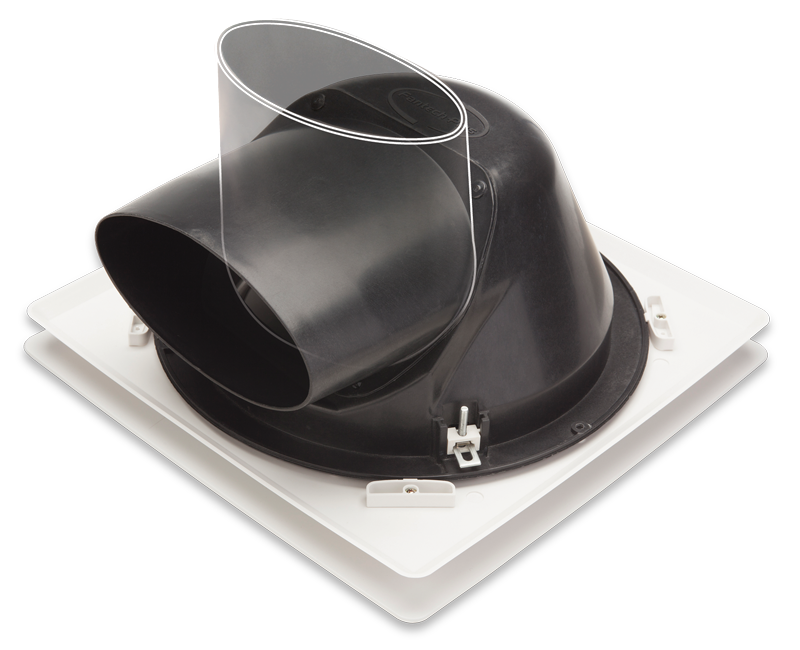 It features a clip-in spigot that can be positioned for horizontal or vertical duct connection. Unique ‘push-out’ ceiling clamps make installation easy. Clip-in spigot makes installation and duct connection easier. 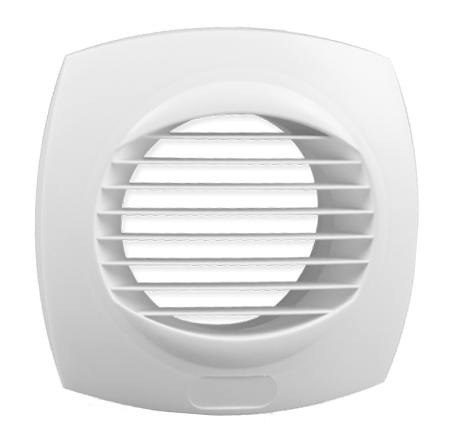 Grille can be easily rotated to align with the walls and removed for cleaning. 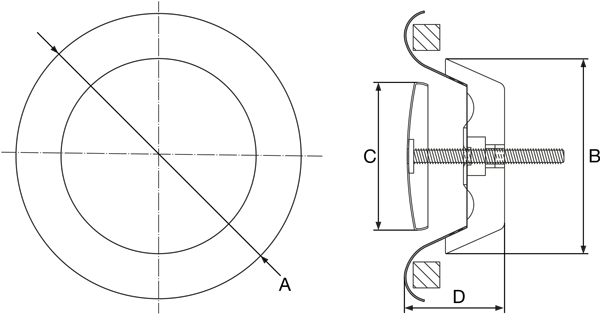 Spigot can be mounted horizontally or vertically.